This first map is of Italy and has Nero Wolfe’s and Archie’s journey marked in BLUE. After taking off from London, their flight lands them in Rome at 3:00 pm, where a chartered plane takes them to Bari on the Adriatic coast. This next map is of the Italian and Montenegrin Coasts and the Adriatic Sea. After spending the night with Telesio in Bari, and at 3:00 pm on Monday geared out in mountain clothes and boots, with knapsacks full of socks, chocolate, guns, knives and cyanide capsules, the two New York detectives cross 170 miles of open water to arrive on the Montenegrin coast at midnight. gets his first good look at the Black Mountain, the two find a haystack (3) in which Archie can get his full eight hours. They then traval by farmer’s cart into Rijecka (4) on Tuesday, where they pay to be driven into Podgorica (5) by Jube Bilic, a troublesome youth. After their meeting with Stritar, they find the home of Danilo Vukcic, Marko’s nephew and the triple agent who really serves the Spirit of the Black Mountain. 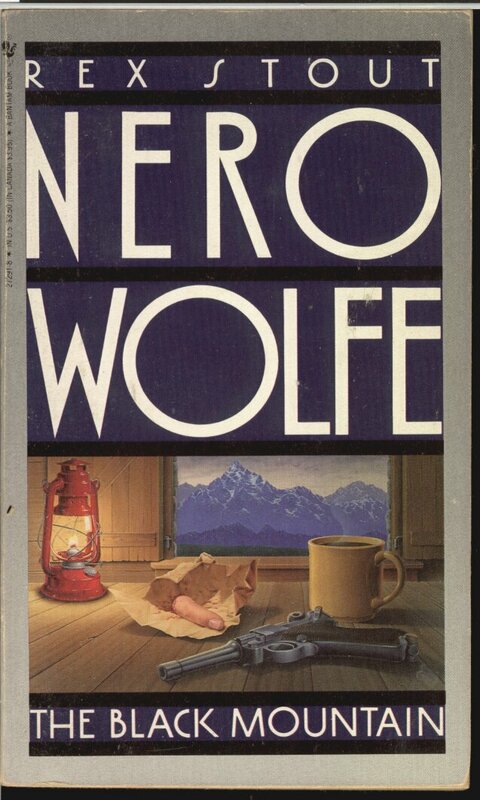 The pair, along with Danilo, head by car into the mountains to talk with the last man to see Carla alive.It’s midnight Tuesday and the gang goes on a road along the River Cijevna for a while, then along a dirt road to a cave within sight of the house (6) in which Wolfe was born. This is 2 kilometers from the Albanian border, at an elevation of 5,000 feet. In a perilous journey by foot, Wolfe and Archie continue alone to an old Roman fort (7), where they rescue Peter Zov, one of Comrade Stritar’s lieutenants. They return on Wednesday afternoon to Titograd. After making a deal with Stritar, Wolfe and Archie are driven 30 miles to Budva on the coast, about five miles north of the spot where they landed two nights earlier. 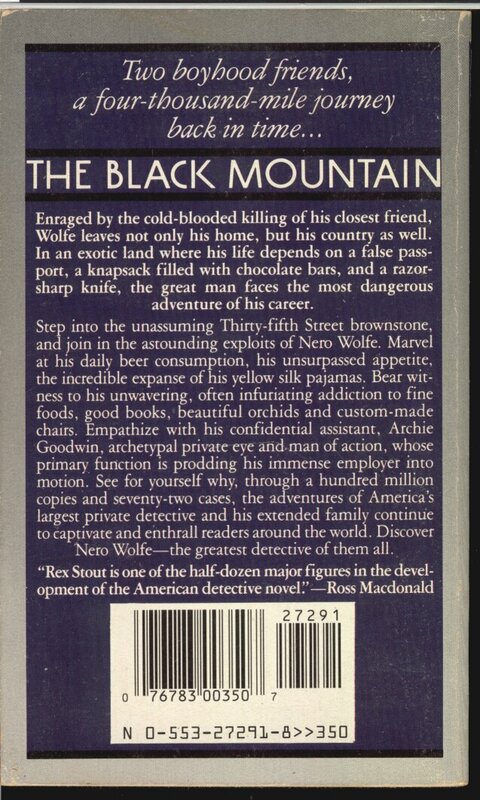 Special thanks to Hitchcock, in London aka April Carlucci for the text portion of this page that I shamelessly stole from her very satisfactory post about The Black Mountain to the Wolfe.net mailing list. To The Black Mountain Map Page. the great man faces the most dangerous adventure of his career.